﻿KC agility has 7 grades with grade 7 being the highest , beginners start in grade 1. 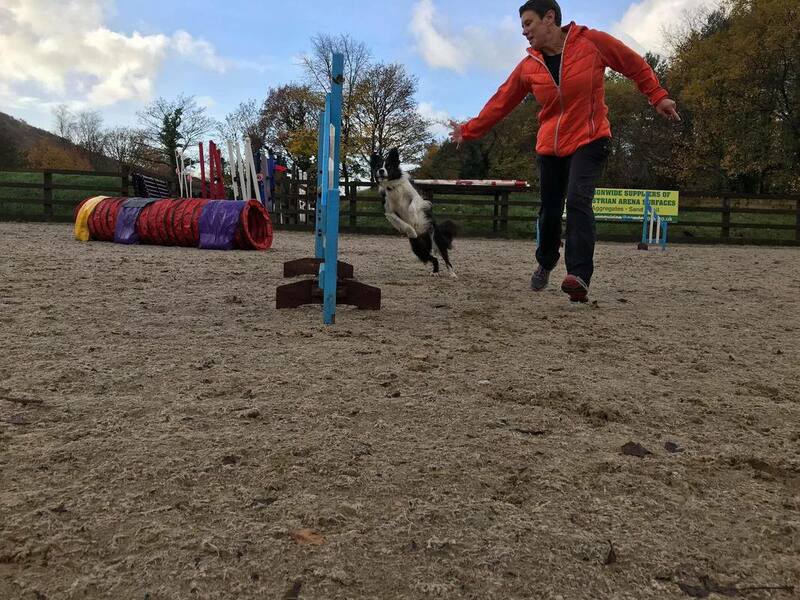 It comprises of a series of jumps, tunnels, weaves & contact equipment which the dog has to navigate in the correct order as fast as possible with as few faults as possible! 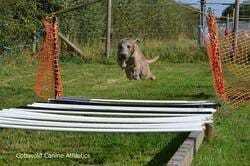 ﻿Agility is a fantastic way of being active with your dog creating a close working relationship! ﻿Dog Showing is the most popular canine competition in the UK. There are several levels of shows, from big Championship Shows such as Crufts to the small companion show held at a local country fair. In order to show your dog at a show (with the exception of companion shows) it must be a pure bred Kennel Club registered breed. Each breed has a breed standard which is a "blue print" of what the breed should look like, the judge will chose his winner as the dog he feels is closest to the breed standard. Open Shows are less formal smaller shows and do not offer CCs, dogs still need to be KC registered to compete. 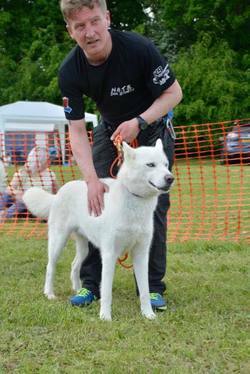 Companion Shows are small informal shows which are usually held at country shows, they offer classes for pedigree dogs who don't have to be registered with the kennel club and also for cross breed dogs. "Scruffts" classes are often held at these shows, these are special classes for cross breed dogs with a grand final held at Crufts.